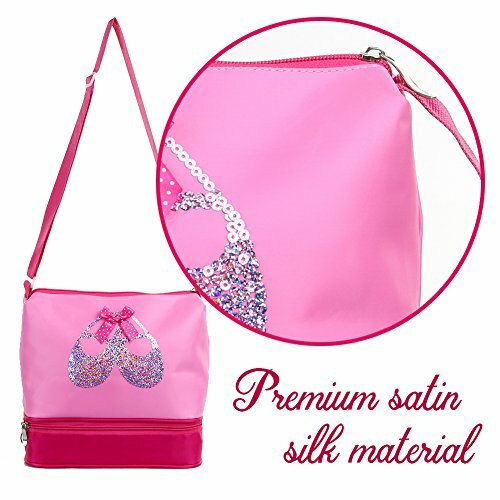 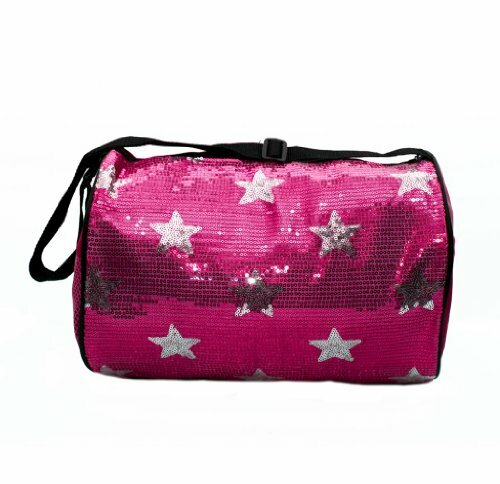 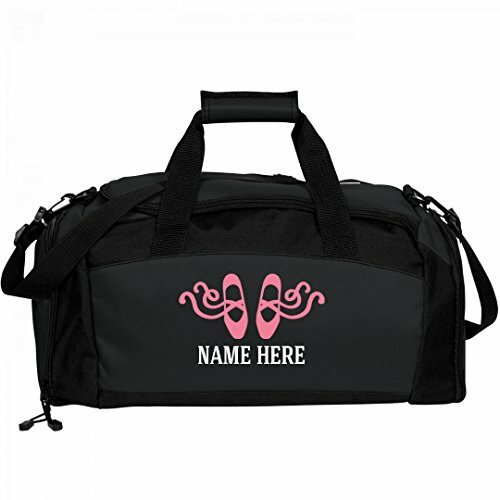 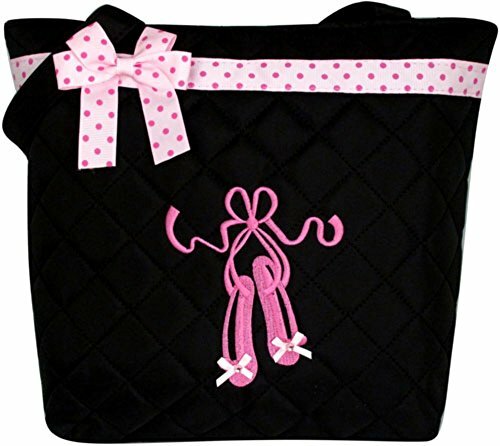 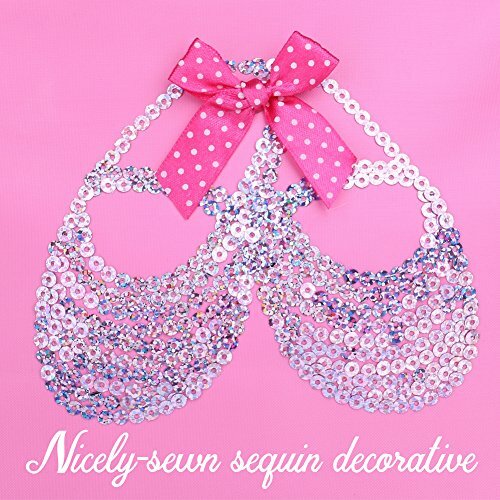 STYLISH DANCE BAG – This little girl dance bag is a perfect ballet bag for every ballerina. 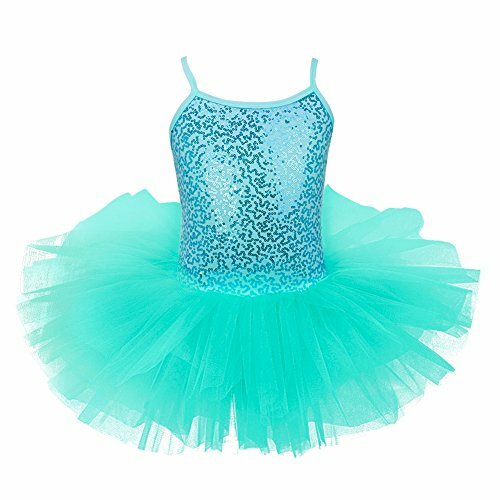 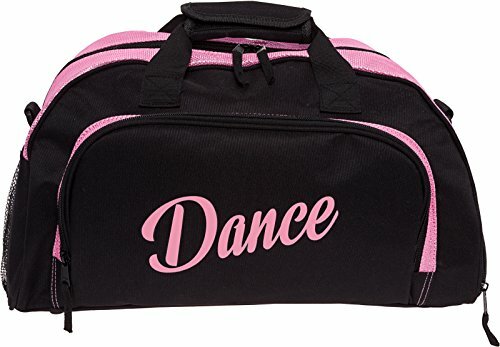 It has a double-layer compartment, adjustable strap, and compact zipper design to store and carry ballet shoes, ballet dress, dance outfits, towel, and accessories neatly! 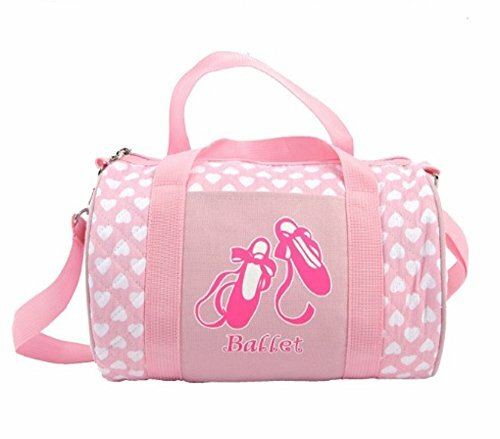 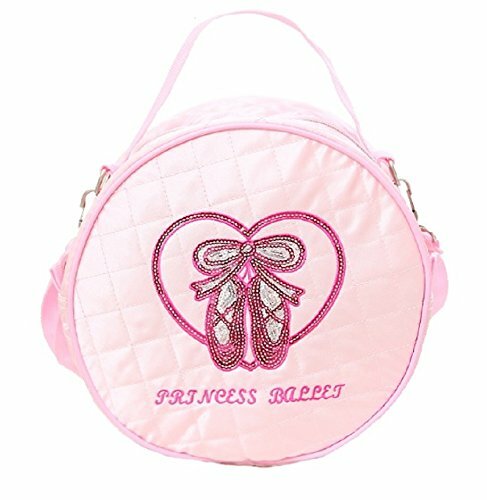 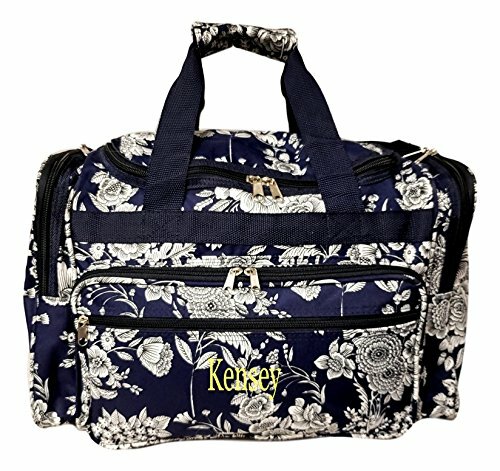 MULTIUSE COMPARTMENT – This ballerina bag has a separate bottom compartment to keep your kids’ ballet shoes separated from the upper compartment which can store ballet dress or any dancing accessories. 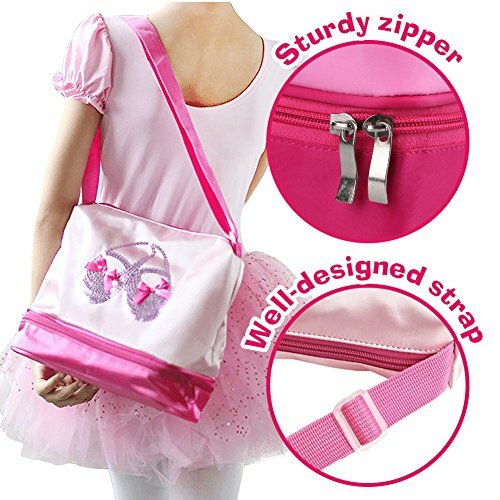 WELL-DESIGNED STRAP AND ZIPPER – This girls dance bag has a nice strap that can be adjusted to the desired length. 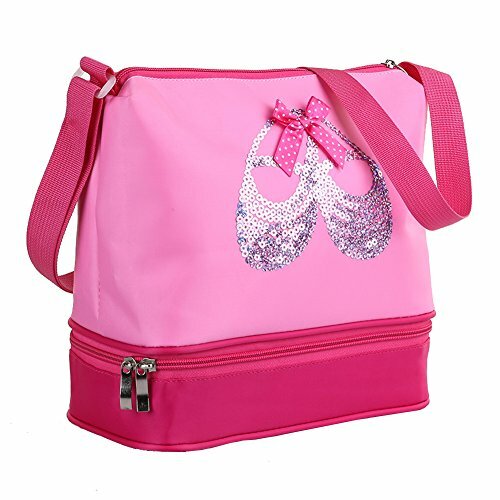 The sturdy metal zipper at the top provides easy access. 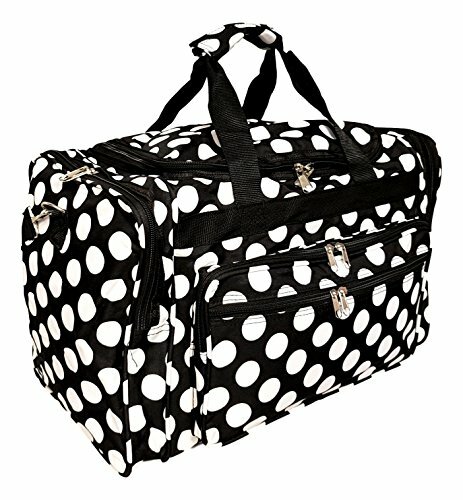 You can also lock the double zipper at the bottom by small keylock. 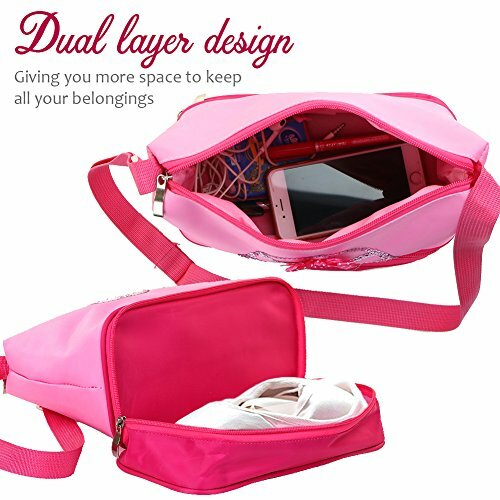 Safe and comfy!